English actor, model and producer, Robert Pattinson, is best known for portraying vampire Edward Cullen in the Twilight film trilogy. He is also known for playing the role of Cedric Diggory in Harry Potter and the Goblet of Fire. Pattinson’s other notable films include Remember Me, Water for Elephants, Cosmopolis, The Rover and Maps to the Stars. 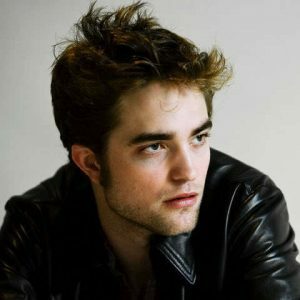 Born Robert Douglas Thomas Pattinson May 13, 1986 in London, England, to parents Clare, who worked at a modeling agency, and Richard Pattinson, a vintage car importer, he has two older sisters, Elizabeth (Lizzy) and Victoria. He was educated at Tower House School and Harrodian School in London. Pattinson began his career portraying Cedric Diggory in Harry Potter and the Goblet of Fire. In 2008, he started dating co-star Kristen Stewart while filming Twilight. In April 2015, he got engaged to singer FKA Twigs (Tahliah Debrett Barnett). They broke up in October 2017. *He was born on May 13, 1986 in London, England. *He is the youngest of three children and the only son. *People Magazine named him one of the Sexiest Men Alive 2008. *Glamour ranked him #1 Sexiest Man in 2011. *He enjoys music and plays both the piano and guitar. *He is a supporter of English club Arsenal Football Club.